Enjoying both the interaction with clients and the technical aspects of helping manage their investment portfolios, James Marshall provides tailored investment advice to clients that is in line with the recommendations of the Investment Committee. As well as being the liaison between the Investment Committee and clients, James also helps clients make informed decisions about their investments and their portfolio’s asset allocation. “I make sure I understand my clients’ expectations and objectives and help educate them about the recommendations, the market and the Investment Committee’s approach. It’s important they understand what they’re invested in and the risks,” James said. According to James, the key to successful investing is being invested across a broad range of assets in different markets and taking a long-term view. “Having a diversified approach helps insulate the investor from global impact,” he said. 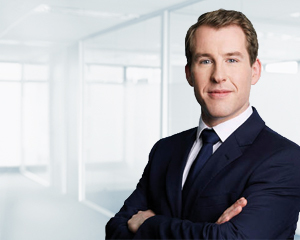 Having joined Dixon Advisory in 2011, James previously worked as an Investment Analyst, assisting clients with their personal portfolios as well as researching new investment opportunities and monitoring clients’ investments. James has a Bachelor of Finance and a Bachelor of Actuarial Studies from Australian National University. He has a Graduate Diploma in Financial Planning and a Masters of Applied Finance from Kaplan and is accredited by the Stockbrokers Association of Australia to provide investment advice.